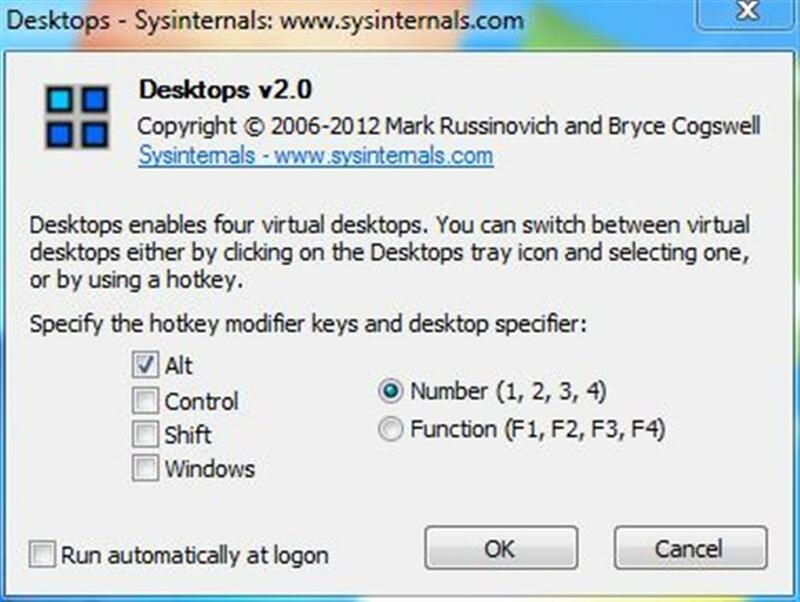 Desktops from Microsoft Sysinternals is a free tool that lets you create and organize up to four virtual desktops on one Windows system. 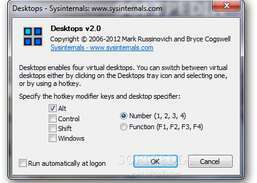 Using it, you can arrange your applications, documents, and tools in specialized desktops for work, leisure, gaming, and so on. 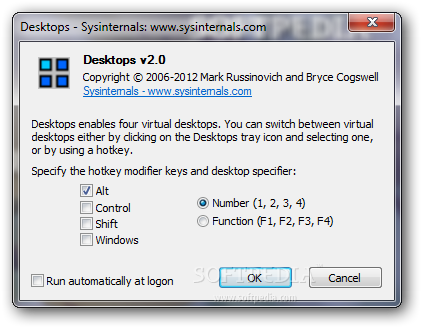 You can instantly toggle between desktops using programmable hot keys or a System Tray icon. 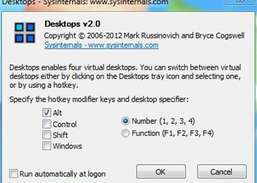 Most desktop multipliers show active windows and hide the rest, but Desktops uses separate objects for each desktop, so they're truly customized and personalized. 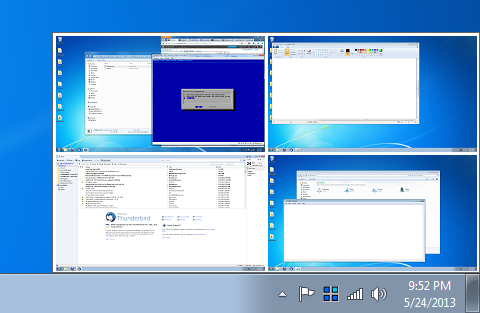 Desktops is portable and works in all versions of Windows from 98 to 7, including server editions. 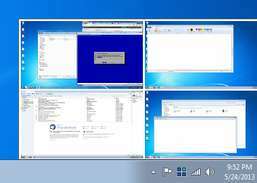 Organize your open windows by tiling, resizing, and positioning them.